I think three weeks is the longest hiatus this blog has had other than one vacation when I was without any connection to the internet at all. After returning from our Alaska/Salem, Oregon/Las Vegas trip, I plunged directly into the final preparations and production week for the most recent premiere our opera company has given. Rocket's Red Blare is a political satire in the guise of a children's story with elements of The Emperor's New Clothes. The libretto was written in the 1970s during the Nixon Administration (LOTS to skewer there) and totally overhauled with a brand new score in 2008. The final dress rehearsal was last Friday with the premiere on Saturday and last performance Sunday afternoon. The production team was the same superb group who worked with us last May on the opera for which Fritz and I wrote the libretto and everything went smooth as silk. Still, the constant commuting to Cambridge, MA was time consuming and I hadn't the time to keep things up here. But New York in 2011 is not a Russian shtetel in 1905. What if your boy is marrying a boy, or your girl is marrying a girl? 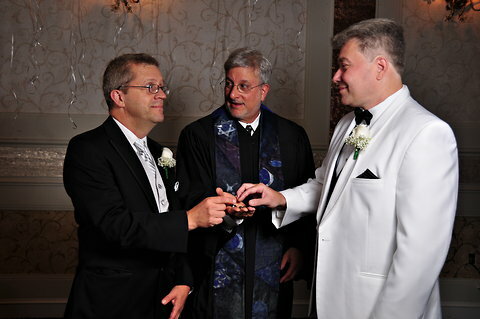 That question was answered on Saturday when gay-friendly lyrics to “Sunrise, Sunset,” approved by Sheldon Harnick, the “Fiddler on the Roof” lyricist, were sung officially for the first time at the nuptials of Richard Skipper and Daniel Sherman, in Tappan, N.Y.
Is that the little boy I carried? When did they get to be so handsome? When did they grow to be so tall? When did she grow to be this tall? Mr. Ellis said Mr. Harnick conferred with Richard Ticktin, who represents the late Jerry Bock, the “Fiddler on the Roof” composer. Mr. Ellis said Mr. Ticktin told him that Mr. Bock “would have been delighted” to make the changes. But why not change the lyrics under the radar? Who would find out? As a man of the cloth, Mr. Ellis said it was out of the question to do so without getting permission from the show’s creators. I remember as a very small child during the cold war that all the men (it was all men in those days) in the Eisenhower Administration wore gray or black suits mostly with crashingly dull ties, all wearing either a fedora or homburg hat, all looking, sounding and acting as if half mummified. 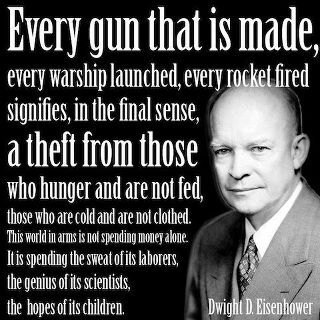 Dwight Eisenhower himself didn't buck the prevailing fashion, but he did speak out with a strongly individual voice against what he saw as the menace of a looming, all consuming "military/industrial complex." And although he had been the Supreme Commander in World War II, he was no war monger as president. Would that he were around to slap some sense into today's members of his Republican Party. On a lighter note, there have been calendars with hunky fire fighters and police, athletes, suburban ladies in various states of undress hiding their private bits behind the cakes they just baked, and even one that purported to be unfrocked Catholic priests; now there's Men of the Stacks . . . . .
. . . . or, who knew your local male librarian could be so hot? Thumbnails of the other eleven guys turned out not to be as undressed as this engaging fellow, unfortunately. I too just came back from a lengthy hiatus. Seems there's just not enough time to write. Hmmm, got to check out the library! Welcome back, Will. Seeing that flurry of comments form you served to remind me that I hadn't seen much from you lately! :-) Thanks for the Eisenhower poster. I might borrow that! If only we still had Republicans like Ike. I'm sure they exist, but they're drowned out by the extremists. And the people running for office cater to the extremists. So sad. Regarding the calendar, I saw that somewhere, and I believe you picked my favorite. He's hot, but he also has the look of someone who'd be fun in more places than a library! Thank you for catching your readers up with your comings & goings. I would be willing to bring in my over-due books to that Library!